WE THE HALLOWED is a Portland, OR "open-source-art-religion" started out of a dingy basement by outside artists of all calibers in Portland, Oregon. It is run by myriad of pragmatic and PRAGMAGIK ARTISTS across various mediums to create a community of disparate artists and thinkers that aide one another in actualizing individual visions and personal masterworks within a collective, SPIRITUAL FRAMEWORK. For most it is a skill-share, a cork board and trade/barter community that dissolves the aloof machinations modern art is so riddled with. Your individuality should be SHARED AND CELEBRATED, not clutched and buried. It is considered a "contradiction" to be two things, especially in the case of being a realized and unique individual while also belonging to a greater whole. That is a blatant lie. BE AN EXCEPTION. We are all individually purposeful and necessary as part of a greater construct. Let us show you our intent by our collective's output in real time at our MONTHLY PERFORMANCE SALONS at THE WAYPOST every fourth Thursday (we also book and celebrate non-affiliates, too), our bi-monthly ZINE consisting of WtH writers/artists/poets/printmakers and our upcoming COMPILATIONS which showcase an absurd amount of audiomancy-driven ASSOCIATED MUSICIANS/song-writers/engineers and curators not to mention FULL ALBUMS AND MUSIC RELEASES by an array of bands and performers. "Duh," you scoff, well, just a minute, there is also a bounty of philosophical, spiritual and psychological musings WE THE HALLOWED provides. 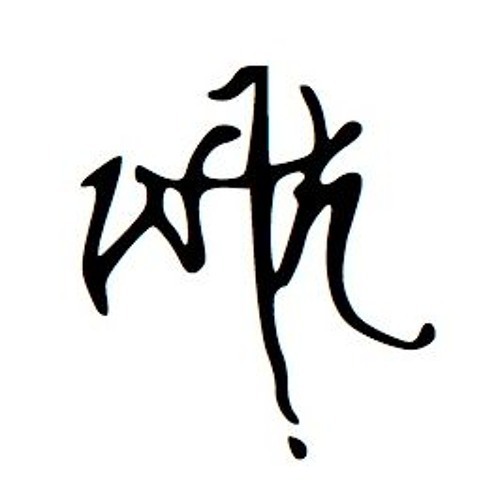 This shared and subtle psychic identity is vexed with folklore, symbolism, constructive practices, and self-discovery exercises that provide a continuum that doesn't get in between but celebrates the space between: "The WTH symbol (or "sigil") denotes a strict adherence to the initiate's artistic purpose, their unwavering motivation to progress themselves through their works, and to offer their experiences as council to those who aim to be the exceptions among the vast population of disgruntled examples".